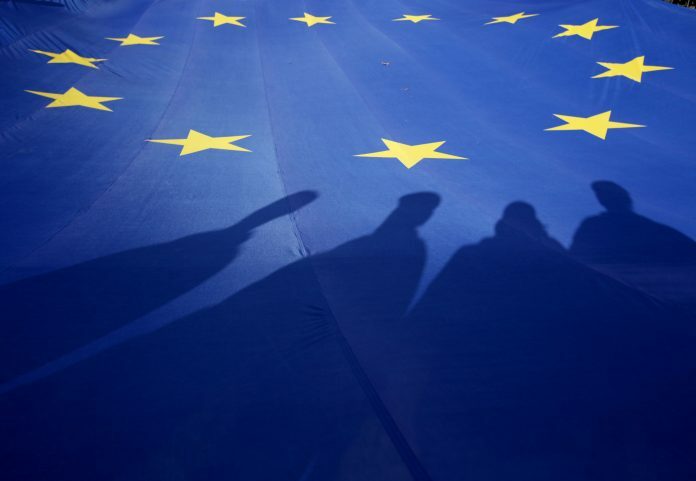 For almost two decades, there has been a widespread, intensifying belief that without greater involvement of citizens the European Union would be condemned to fail. As the time goes by, this prophecy is becoming self-fulfilling. Despite renewed, countless calls for the need to bring the voices of everyday citizens into public life, little is set to change ahead of and beyond the next European elections. The emergence of populist forces claiming to represent the people as a whole has eclipsed – and, as a result, backtracked – the EU participatory agenda, instead of accelerating it. The failure of the much-awaited European Citizens’ Consultations – the first pan-European participatory project to involve citizens from all 27 Member States of the European Union into the debate about the future of the continent – epitomizes the limited commitment to, and imagination for, genuine participation in Europe. The EU needs to urgently move away from such ad hoc participatory processes – designed along jurisdictional lines, as quick, unstructured, under-funded and often patronizing, fixes to an old, persistent problem. It must embrace instead an entire new participatory paradigm putting citizens at the forefront of the process of EU integration and empowering them with agenda-setting and monitoring power. Behind such a pressing move there is a growing demand to render EU action intelligible and – like any other forms of exercise of public power – democratically legitimated. This entails making the EU accountable for its action and representative of its peoples – not only as a sum of nationals but also as a transnational community of European citizens. While accountability and political representation mechanisms are the bread-and-butter of any democratic state worth of this name, they are missing in the European Union due to a combination of institutional design and history. As a matter of fact, European citizens can’t really push a ‘government’ out nor can they sanction (or reward) a European political group. Pause for a moment and think about the only shared political moment in the Union: the European Parliament elections. European citizens are called upon to vote on different dates, according to different electoral laws, and in support of national candidates selected by national political parties and on the basis of domestic agendas. So much for EU politics. After more than sixty years, the EU lacks a Europe-wide party system capable of fostering a genuine transnational space for political debate and dialogue, in which citizens can understand, influence, and participate in decision-making that affects their common interests as Europeans. As a result, there are currently no political channels accessible to European citizens (or any other actor) to hold their member states and political representatives accountable within the EU. This is obviously deeply problematic, as it mechanically translates any criticism of the EU into a wholesale rejection of its underlying project and further aggravates abstention in the European parliament election. To compensate for such a political accountability vacuum, the EU has overtime decided to draw its democratic legitimacy not only from representative democracy, but also – unlike most of its member states – from participatory democracy. While under the former citizens take part in the political process through their elective representatives, via the European Parliament and the governments gathering in the Council, under the latter citizens participate directly via a multitude of channels of participation. These include public consultations, petitions, complaints as well as the European Citizens Initiative (ECI), the first transnational participatory democracy instrument – allowing 7 EU citizens coming from 7 different member states to suggest new policy initiatives in any field where the EU has power to propose legislation (such as the environment, agriculture, energy, transport or trade) after collecting one million signatures. Given Europe’s historical unease with the exercise of popular sovereignty – which is rooted in the mistrust of the political process in post-war Europe – this recent opening is particularly momentous. Yet, unfortunately, these avenues of participation remain unknown to the many (e.g. EU citizens) and overused by the few (e.g. corporate lobbyists), and as such they fail to capture the growing participatory demand from across the continent. Indeed, as the effects of EU policies are increasingly felt on people’s lives, there is a growing yet undetected demand for participation beyond elections existing within European societies. The challenge for the Union is to able to capture such a liquid popular demand and accommodate it within its rigid institutional framework. Research supports this claim by demonstrating that societies which enable citizens to be assertive and critical of public authorities tend to have governments that are more effective and accountable. Indeed, if there’s anything we have learned from recent and unfolding political events, is that – given their growing ability and desire to contribute to the political debate – citizens expect and deserve more comprehensive forms of participation. Should they be better inbuilt into existing decision-making procedures and used more often, existing participatory democracy practices could offer the EU a powerful and responsive accountability system capable of making the EU more responsive, thus restoring public faith in its political institutions and turning the EU into a people’s project. For this to occur, the EU must create an enabling and collaborative political environment fostering citizen participation beyond elections. Such a space may give birth to alternative, unconventional forms of participation capable of channeling citizens’ pluralistic and increasingly chaotic input into the political conversation to bring citizens closer to our representatives and viceversa – and to do so in between elections. It is only by getting the European institutional machinery exposed to the needs and preferences of its local communities on the ground that it will be possible to realign the local with the EU day-to-day governance. As the migration crisis showed, Europe can’t afford to look passive before one of the major sources of perceived danger by its citizens. This requires a change in political as well as administrative and legal culture in Europe rather than some mere institutional changes. Indeed, as deep societal transformations and the technological revolution are developing greater expectations for participation, time has come for the EU to become more participatory and collaborative in its decision-making. Given its inherent complexity, we can’t realistically expect EU citizens to understand and be fluent in how the EU institutional apparatus works before being given the chance to have a say. Therefore, any meaningful attempt at making participatory democracy work in Europe requires an effort at simplifying its operation in the eyes of the public. In other words, Europe won’t find its democratic soul in a large-scale, stand-alone and pre-framed deliberation exercise, such as the European Citizens’ Consultations or Dialogues. It is rather through the creation of an accessible, intuitive and safe space accommodating public input on a daily basis that the EU will come to terms to its own democratic and accountability challenge. By centralising all participatory channels in a one-stop forum entailing the participation of all EU institutions – who will be in charge to address, review and filter such public input –, the EU will become accessible and intelligible to the many and – as a result – also more responsive to their input. The ultimately aim pursued by this participatory and performative framework would be to have the most promising proposals, ideas and complaints to trickle down into the daily work of each institution. While this day-to-day participatory framework would not magically fix the European accountability deficit, it may compensate for that by making the system responsive to citizen-driven agenda-setting and monitoring. To thrive, this streamlined participatory framework will require the adoption of a set of positive, supportive measures capable of levelling the playing field within and among the interests represented before the Union and paving the way for the setting up of a European ‘civic grid’. Thus, to improve civic literacy and build civic capacity, citizens could benefit from a range of supportive actions, such as (i) the institution of ‘lobbying aid’, a form of advocacy assistance modelled on the system of ‘legal aid’, (ii) the opening-up of parliamentary research services – such as European Parliament Research Service (EPRS) – to grassroots campaigners in need of advocacy advice, (iii) skill-sharing advocacy platforms, such as The Good Lobby, which provides legal and advocacy pro bono support to citizens, grassroots and NGOs and (iv) ‘lobbying stimuli’, enabling citizens to receiving tax breaks or subsidies to let them support the causes they deeply care about. The clock is ticking: either the European Union start providing meaningful participatory opportunities to their citizens capable of affecting its own decision-making or the Europe as we all know it might soon be over. 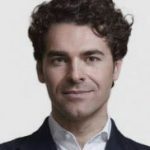 Alberto Alemanno is Jean Monnet Professor of EU Law at HEC Paris, founder of The Good Lobby and the author of “Lobbying for Change: Find Your Voice to Create a Better Society” (London: Icon Books, 2017).